Lighting your home needn’t simply be a practicality. In fact, the lighting you choose in your home can have a big influence on the impression your home makes on potential buyers, and this is a detail that should not be overlooked. Aside from the obvious fact that a well-lit home makes it easier for potential buyers to envision themselves in a space (no pun intended), good lighting also goes a long way to accentuate those aspects of your home that are selling points. Here are a few quick and easy tips to get the lighting in your home from drab to dazzling in no time at all. Natural light is your biggest asset when potential buyers come to view the property. You want them to see every part of your home, and opening the curtains to let in as much natural light as you can, is key. Dark rooms seem cramped and much smaller than they actually are, and darkness during the day creates an atmosphere that is heavy, uninspiring and depressing. If there’s a tree with branches that obscure light, get it trimmed. You’d be amazed at the difference it can make to just give all the windows a good scrub down. Use décor elements like mirrors to amplify the light that enters through your windows, or use paints that have a slight shimmer to reflect light throughout a room. 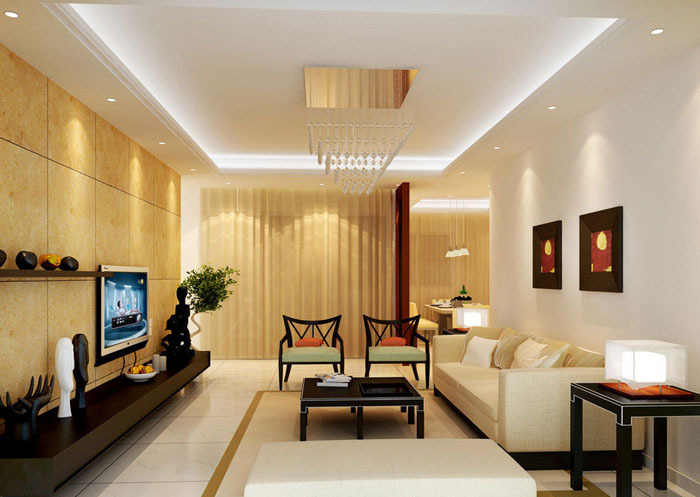 – General or ambient lighting is the main layer and substance of a room’s lighting. This makes up about 75% of a room’s lighting. – Task lighting is the frosting of the cake, and helps you to accomplish tasks with ease. Reading a book, preparing a meal or writing in your diary is made easy when task lighting is installed correctly. – Accent lighting is the cherry on top of your lighting cake. As the name implies, accent lighting is used to accentuate and enhance decorative and architectural details, like pieces of art and decorative architectural elements. When all three lighting layers are present, the home and its rooms aren’t just well-lit, but also filled with atmosphere. Putting up lights in your driveway and on your porch isn’t just a good way to deter potential criminals from targeting your property – it also creates a welcoming atmosphere for visitors, and ensures that everyone can find their way around the garden. Take care to not use lights that are so bright that they light the entire street, though! Lights outside your property should be bright enough to illuminate the garden, but not overly bright so it makes it difficult for you or your neighbours to sleep at night. LED lighting is an energy efficient solution that is not too bright. Using in-ground lights along the driveway is another way to ensure visibility, but still keep things modest. Especially in spaces where you really need to see what you’re doing, like in the kitchen or home office, it is vitally important to put light sources in spots that are practical and conducive to efficiency. Kitchen lights that are positioned right above the edge of the kitchen counter will result in shadows that are cast exactly where you’ll be working when you prepare meals. Rather install under-cabinet lighting here. If a potential home buyer is a culinary god or goddess, this will impress them and will definitely score you some brownie points. Similarly, a desk lamp in a home office will ensure that it is easy to focus and see the task at hand. Another tip is to ensure that areas like the stairs of a home are lit up in such a way that they are safe to navigate when it is dark. This is applicable to stairs and other potentially hazardous areas, both inside and out. The key to good lighting in every room is to play with different light sources and degrees of brightness. Installing dimmers in the living room, kitchen and dining room will make for an enticing feature in the home, and potential buyers will love it. Having the ability to dim or brighten the lights according to your needs at any given moment allows you to create the atmosphere you want – it’s called “mood lighting” for a reason! If you’re cooking, you might want bright light, but when it comes to sitting down and having a meal, muted light is more preferable. Dimmers allow you to have the best of both worlds. Experts also recommend that you use more than one light source to create the perfect lighting for every scenario. Use lamps to illuminate pieces of décor or areas that you want to focus on, and diffuse the light with white or neutral lampshades. Harsh light is utterly unappealing and will do nothing in terms of enhancing the décor and interior design elements in your home. In this regard, choosing light bulbs in warmer hues creates an atmosphere that is inviting, pleasant and creates an ambience of note. Lights are no longer just practical fixtures. With the vast amount of lighting options available today, light fixtures can easily become decorative elements in their own right. 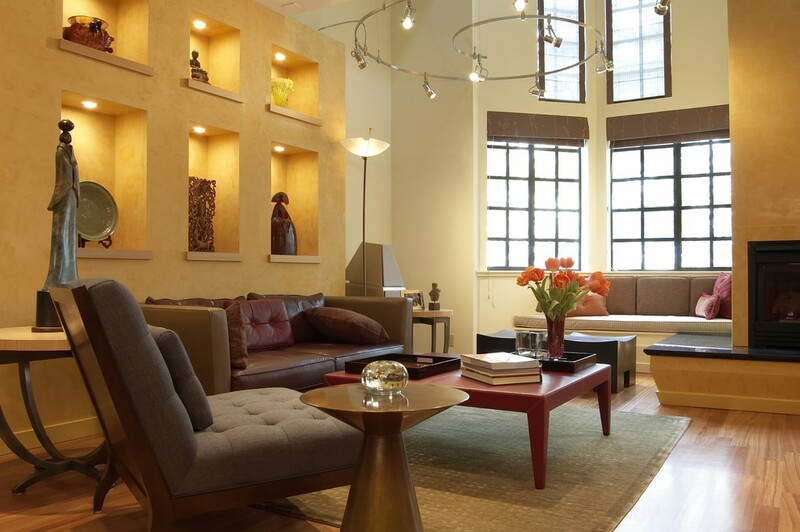 If the room and style permits, lights can be focal points instead of art or other décor. If light fixtures are interesting and beautiful, the lighting of your home can easily become a legitimate selling point. When potential buyers come to view your home, ensure that the lighting accentuates those areas that will draw the attention and warrant another visit, or even an immediate interest in buying your house. Once you’re ready and the lighting is just right, contact Perfect Agent to find an agent that can help you sell your home faster than greased light(n)ing!